Full-time licensed Realtor® RE/MAX Grande Prairie. As a motivated, straight-to-the-point agent I would like to talk to you about real estate in Grande Prairie and how excited I am for the opportunity to help you buy your dream home. Now, I'd take this opportunity to show you how I can help with your house purchase. I hope to cultivate a relationship with you as your Realtor, and I'm looking forward to talking with you soon. Troy Irvine is a full-time, licensed Realtor® who has closed plenty of transactions involving residential and commercial property. Troy draws on 20 years of sales experience to guide clients to the best deals for a smooth, stress-free and decisive sale. The best properties for the best deals - Troy Irvine will personally work with you so you can get access to the latest listings and the hottest deals in Grande Prairie and nearby areas. You can also call 780 380 8769 anytime! 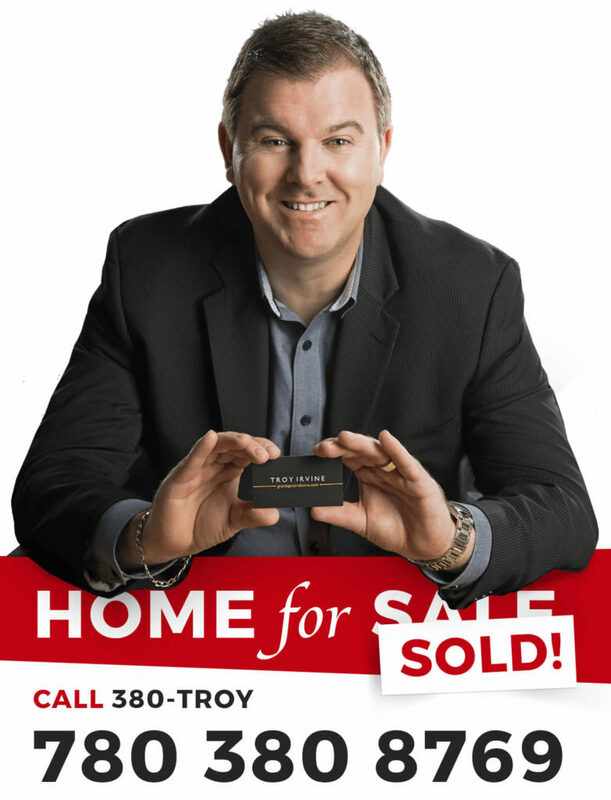 Troy Irvine has been doing sales in Grande Prairie for more than 20 years, and with all the negotiation experience that comes with it, it's a sure-fire recipe for a quick and hassle-free home buying experience. Troy can motivate sellers into a quick close of the sale, and he will ensure a smooth and quick purchase that's responsive to your family's needs. Troy gives personal, one-on-one attention, customizing his negotiations strategies for the particular needs of your search for the best home for your family. Team Troy Irvine is available any time of the day, any day of the week. You will always have the opportunity to ask about your purchase. You and sellers can reach Team Troy Irvine easily through any way you prefer. Troy is at ease with negotiations by email, phone, social media or messaging apps. 12 Steps to Your Dream Home. TEAM TROY IRVINE is with you every step of the way, from the first meeting to the day you move in! The first meeting is how we understand your specific needs and wishes as a buyer. Troy and the team will sit down with you to discuss each step of the home buying process, and the needed forms, financing, inspections, marketing, pricing, and negotiating. During the process of getting a pre-approval from a reputable lender, you will get a clearer picture of how you can financially support your home purchase. What's more, with a pre-approval, Team Troy Irvine can give you an edge over other buyers in today's competitive market. Team Troy Irvine will guide you into defining the criteria for your dream home, in terms of location, price, style or condition. We will lend his experience and knowledge of the local market to guide you to properties that matches your needs for the best value, and save your time on home viewing by narrowing down the list to the best choices available. Once you have narrowed down the list of homes that fit your criteria, it's time to look at some houses! 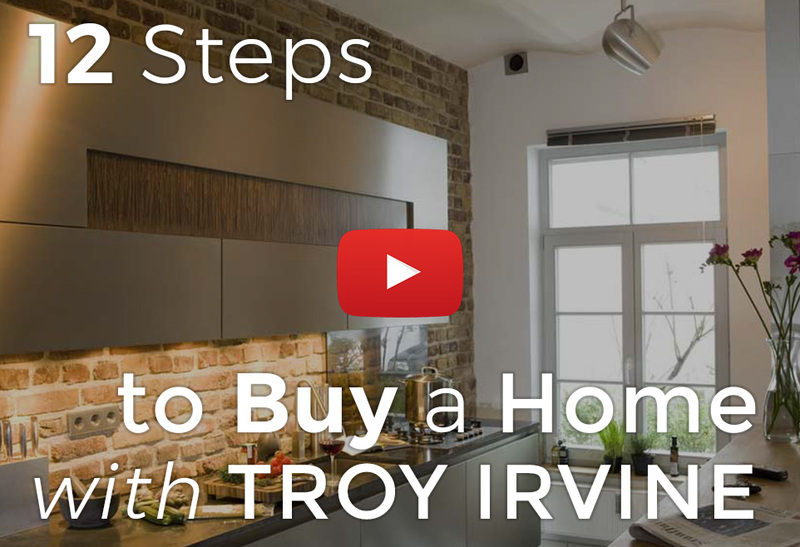 Team Troy Irvine will help you evaluate the homes, ask the right questions and look at the right places to make sure you have the information to make the best decision possible. It's time to prepare for negotiation, and it begins with a thorough reading of the purchase contract. Understanding the purchase agreement will boost your confidence when it comes to making the offer. Troy will go through each item of the purchase agreement with you, making sure that you are legally covered in all areas of the contract and in the best position to negotiate the purchase. Secure your offer and assure the seller that your bid is legitimate by placing a deposit on the house. Team Troy Irvine will advise you on the amount and how to keep it safe in a trust account for later, when the transaction is ready to be closed. With the contract fully accepted and all conditions agreed on, a home inspection is typically allowed by most contracts. A home inspection will give you a better idea of the condition of the property you will be investing in. Troy and the team can help you and your inspector thoroughly examine the home and plan on how to remedy any issues found with the house. With approved financing secured, it's time to clear the other conditions of the sale. All conditions need to be signed off by the date agreed upon for the purchase contract to continue. Troy will lend you his expertise to make sure that all conditions are met in a timely manner. With all conditions cleared, execute the sale. RE/MAX will send all the needed documents to your lawyer. Troy and the team will make sure that you and your lawyer are able to execute the closing documents completely and on time. Real estate insurance will save you a ton of money in the event of catastrophe. Protect your investment by setting up home insurance a week or two in advance of the closing date. Team Troy Irvine can help you get the appropriate insurance for the location and condition of your house. Before moving in, make sure that the services are running. Transfer your power, water, internet and other services to your new home on the possession date. Once payment has been transferred, your lawyer can close the sale by authorizing the release of the keys. Closing day is the day you can start moving in to your new house.